Thousands of ringtones on Audiko.net! 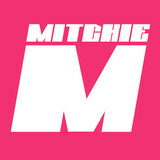 Here is a chance to download a free Mitchie M ringtones for your iPhone or mobile. Take your favorite fragment from your favorite music - Birthday Song for Miku [music box version] - FreeDL, Viva Happy [instrumental] - FreeDL, Amazing Magician [instrumental] - FreeDL, or any other track. Here you can obtain your tone both in the MP3 and m4a formats, supported by both mobile phones and iPhones. Just select a track, and choose free Mitchie M ringtones download option.